Former Serbian Foreign Minister Vuk Jeremić predicts that in the near future Serbia will will be bordered by the Great Albania. According to him, part of the border correction plan between Kosovo and Serbia is that the two countries do not block each other in the international community, including the United Nations. He stressed that if with the Serbia's signing Kosovo becomes a member of the United Nations, there is no international-legal mechanism that could prevent two UN members from becoming a state. Specifically, Kosovo and Albania are transformed into great Albania. 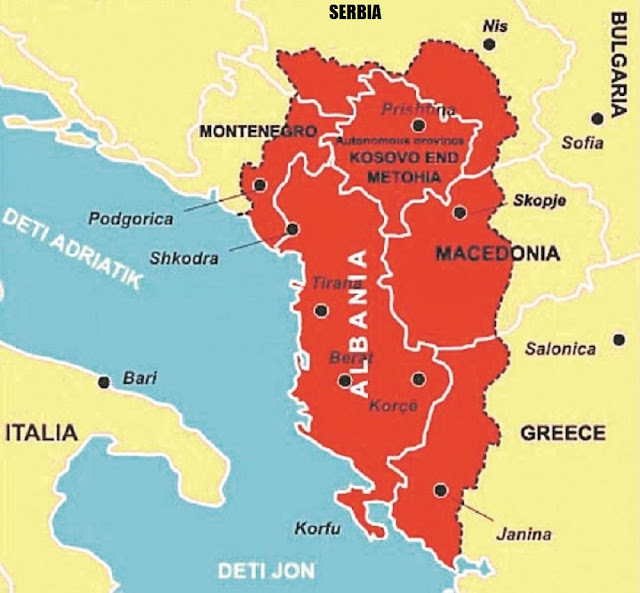 Jeremic adds that these countries, with their membership in the UN, respectively the new state of the Great Albania, may not apply separately, but may inherit one of the two seats in the world organization, Albania or Kosovo, if Serbia agrees. Thus, it is certain that some years after signing the border correction, Serbia will be bordered by Great Albania, Jeremic predicts.